Dockercon 2017 surely gonna be EPIC | Top Sessions Which You Can’t Miss to Attend This Year..
Are you still thinking whether or not to attend Dockercon 2017? Still finding it difficult to convince yourself or your boss/manager to allow you to attend this conference? Then trust me, you have come to the right place. For the next 30 minutes, I will talk about the great sessions which you can’t miss to attend this year. Dockercon 2017 is just 1 month away. 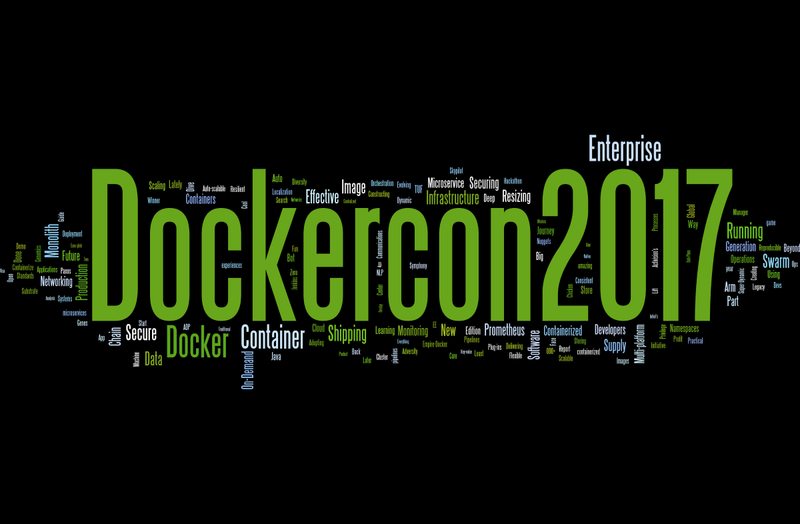 Heavily power-packed with 3 keynotes( includes Solomon Hykes impressive talk), 7 tracks, 60+ breakout sessions, workshops, Ask the Experts, Birds-of-a-feather, Hands-on Lab, Ecosystem expo and lot more.. this year DockerCon 2017 brings a three-day impressive event schedule in capital of the U.S. state of Texas, Austin.Featuring topics, contents & workshops covering all aspects of Docker and it’s ecosystem,Dockercon has always given a chance to meet and talk to like-minded professionals, get familiar about the latest offerings, upcoming Docker releases & roadmap, best practices and solutions for building Docker based applications. 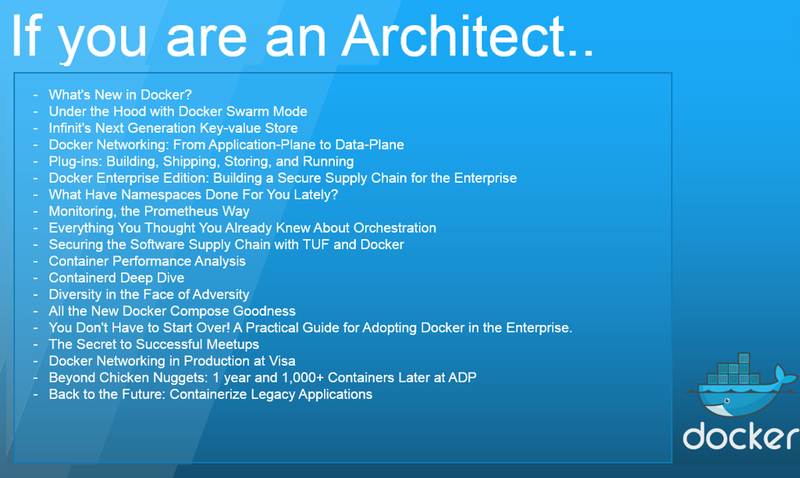 Equally it has always provided opportunity to the community users to know what and how are they using Docker in their premises and in the Cloud. 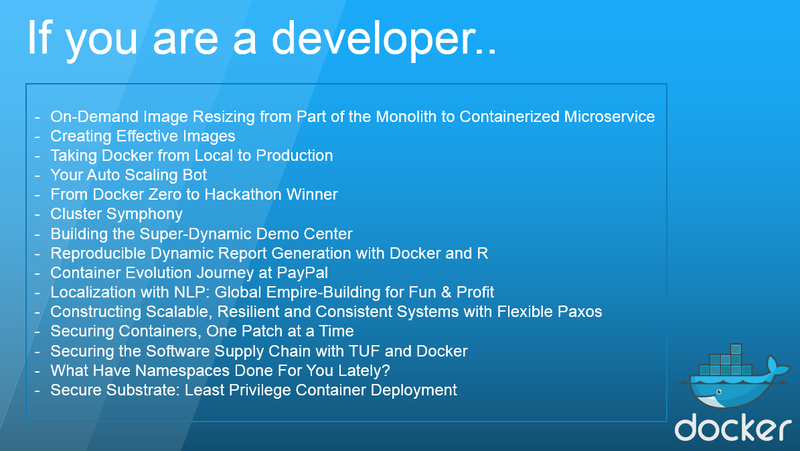 Dockercon 2017 is primarily targeted for Developers, DevOps, Ops, System Administrators, Product Manager and IT executives. Whether you are Enablement Solution Architect for DevOps and containers, OR Technical Solution Architect; whether you are part of IoT Development Team OR AWS/Azure DevOps Engineer; whether you are Principal Product Engineer OR Product Marketing Manager, Dockercon is the place to be. 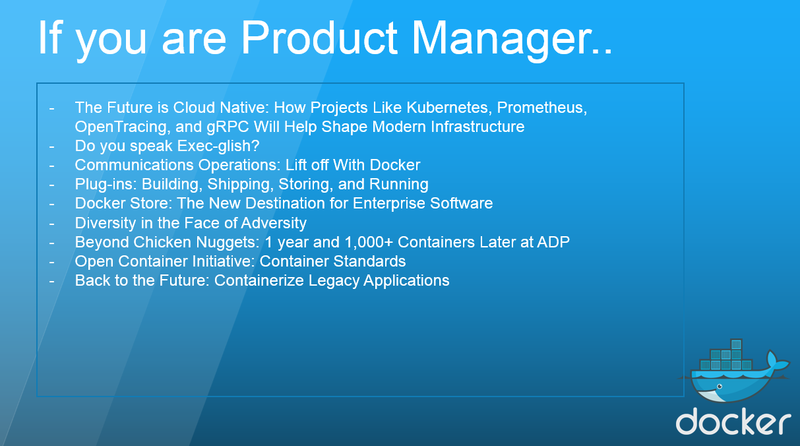 Still wondering how would this conference help your organization in adopting containers and improving your offerings in terms of containerized application for your customer? I have categorized the list of topics based on the target audience. Hope it will help you gather data points to convince yourself and your boss.